CSUF is Hosting the Southwestern Oral History Association Annual Conference! 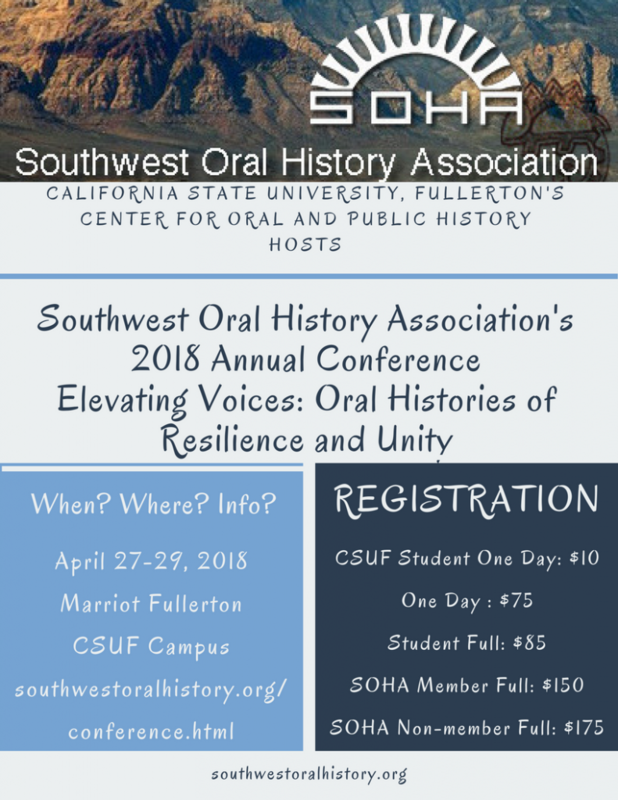 For those of you interested in oral history, the Southwest Oral History Associations Annual Conference will be held here at CSUF this year. It is April 27 - 29. I was able to get them to give students a one day discounted rate of $10, so if oral history interests you, check it out. If you are really interested in oral history, there is a workshop on friday for $25 in addition to the $10 for registration. If you are just interested in listening to panels, I would suggest Saturday as it has the most panels.